I really like to make things that you normally buy in the store because it’s cheap or just because it’s easier. Strawberry lemonade syrup is such a thing. It’s easy to buy it but it tastes so much better when you make it yourself! 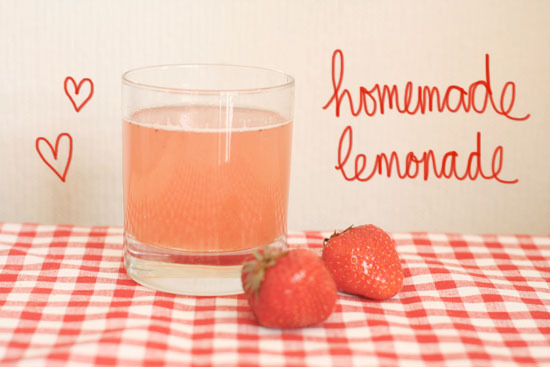 Learn how to make strawberry lemonade syrup after the jump. . . 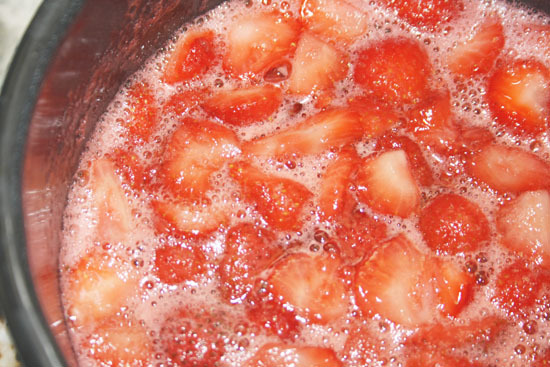 Combine the strawberries, the sugar, the water and the juice of half a lemon together in a sauce pan. Cook until it’s reduced to a third of the original size. Let cool and put into a bottle of choice.